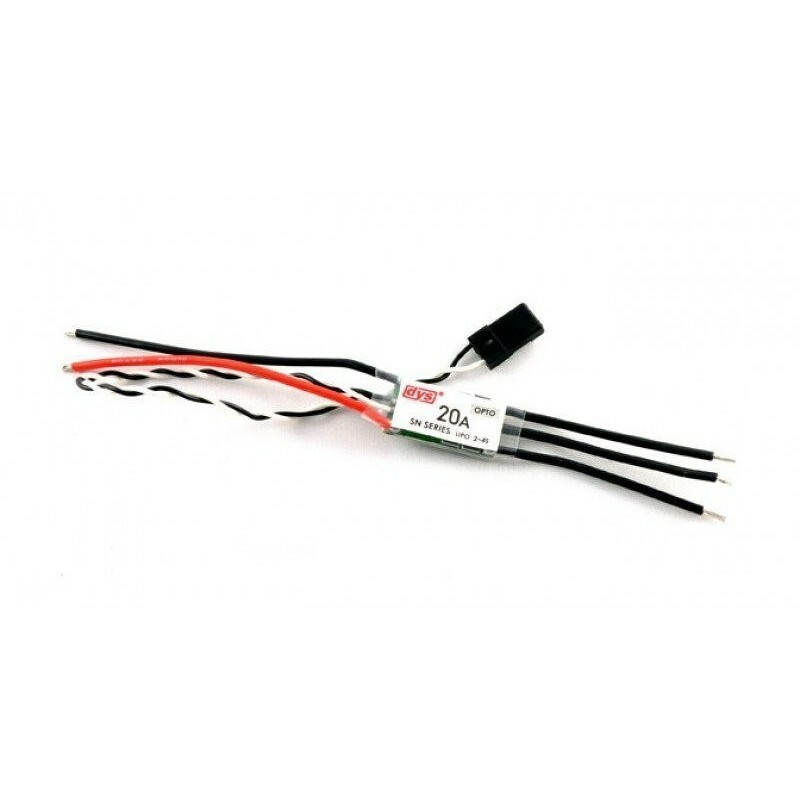 ESC 20A speed controller DYS BLHeli OPTO 2-4S - Actuna Sp. z o.o. High quality rotation regulators from the renowned DYS company with BlHeli software !! They were designed especially for multicopter. They have an excellent throttle response and a maximum refresh rate of up to 500 Hz! High-quality rotation regulators from the reputable company DYS with BlHeli software !! They are designed specifically for multicopter. refresh rate up to 500 Hz! Works with all flight controllers on the market. They are very easy to program thanks to the linker programmer - this is their special feature. type: QAV210, QAV250, ENZO250 or Robocat270.